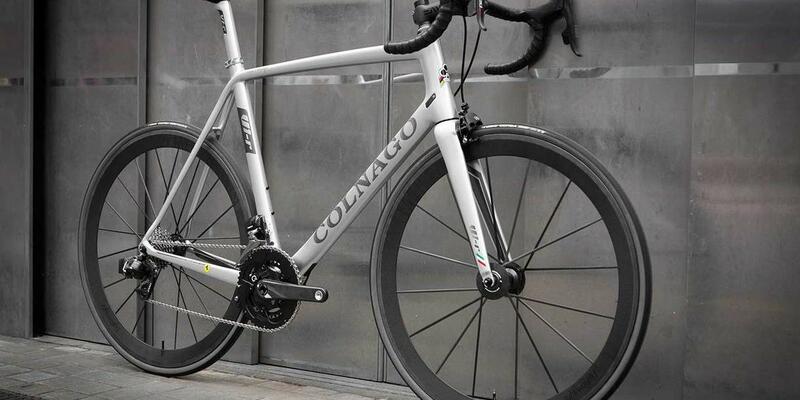 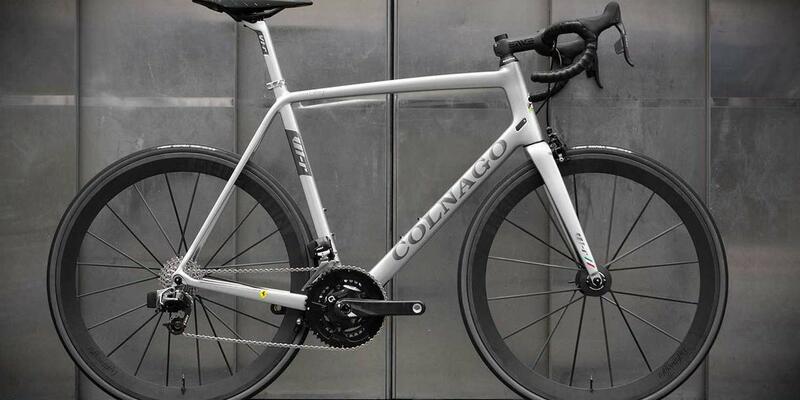 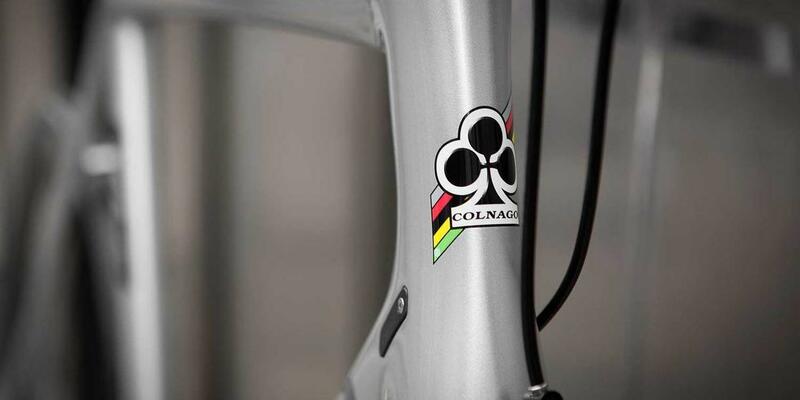 The Colnago V1-r was designed in collaboration with Ferrari, who worked on the carbon technology, selection and layup, resulting in the lightest ever Colnago frame. 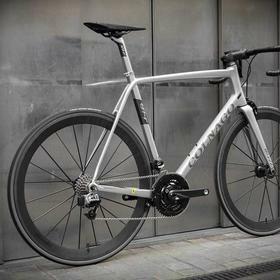 Designed as their aero flagship, the V1-r fetures the same Kammtail shaped tubes as other notable brands, giving the best possible aerodynamic performance. 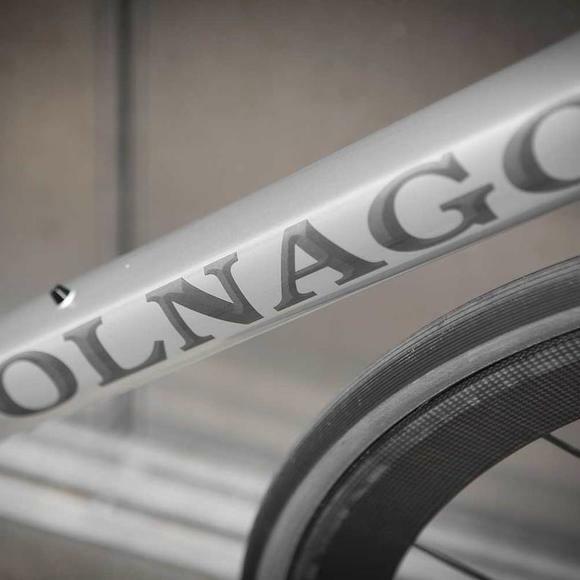 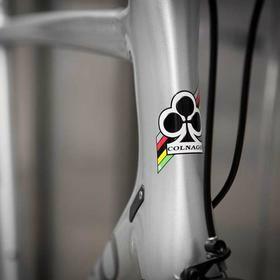 The V1-r delivers race worthy stiffness though keeps a good degree of Colnago comfort. 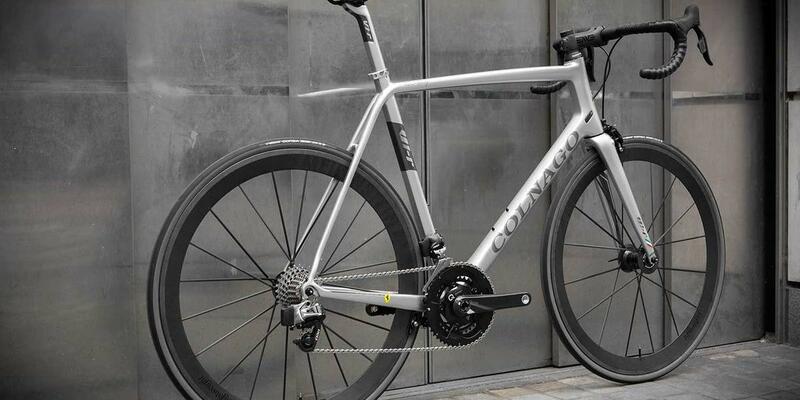 Befitting the quality and sheer good looks of this limited silver V1-r, Neil went for a suitablly impressive build. 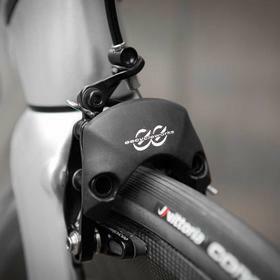 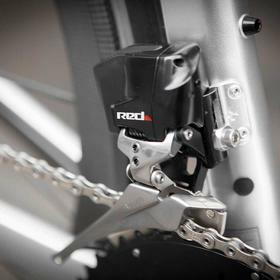 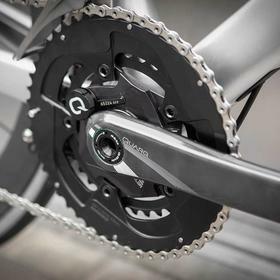 SRAM Red eTap is built around the Quarq power meter, with braking courtesy of ee direct mount brakes. 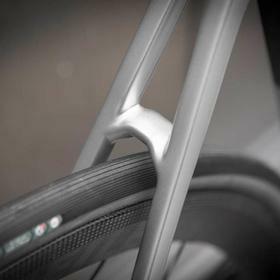 Lightweight Meilenstein Schwarz Edition tubulars are incredibly light, works of art in their own right. 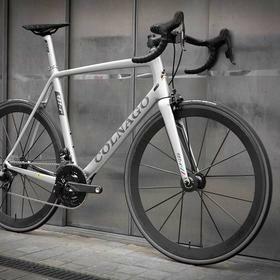 ENVE bars and stem compliment the V1-r setpost, the cockpit completed with a carbon Arione saddle. 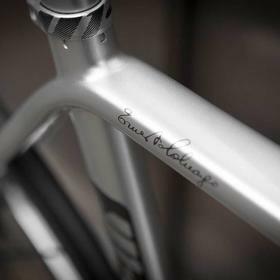 A truly outstanding build from Bespoke Jermyn Street.